After an appearance by Tommy Makem on Liam Clancy's Canadian TV series, a string of events leads to the full time formation of Makem & Clancy. Together the duo performed a mix of old CBTM standards and fresh new material; many of these "new" songs have become staples in the genre, much as the songs they had introduced in the sixties. 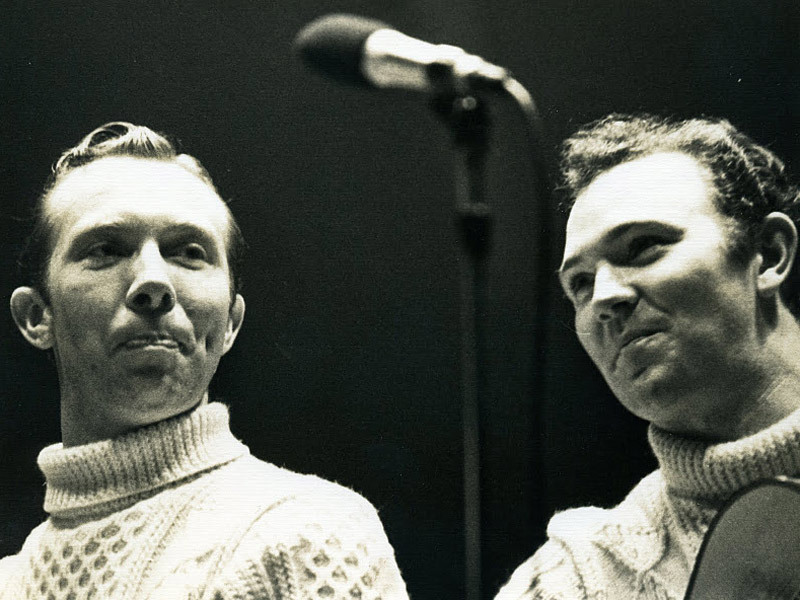 Tommy Makem and Liam Clancy release their first self-titled album; co-produced by themselves and Archie Fisher. In January "And The Band Played Waltzing Matilda" enters The Irish Charts, reaching number one. The song spends a total of 10 weeks in the charts. 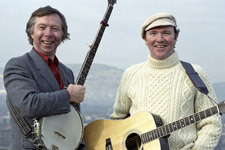 Makem and Clancy perform in concert at the National Stadium Dublin, in February. The concert is broadcast in Ireland as Makem & Clancy At Home. In March "Red Is The Rose" enters The Irish Charts, the song reaches #3. "Morning Glory" enters The Irish Charts, in July, the song reaches #7. Makem and Clancy film a special at Bunratty Castle for Irish TV, titled The Music Makers. LIVE at the National Concert Hall is released. A companion video to this album is filmed, with songs not included on the LP. This TV special is broadcast in Ireland and the US. Tommy and Liam join Paddy and Tom Clancy for the long awaited CBTM reunion. We've Come Along Way is released; Makem and Clancy's final album together. After 13 successful years, Makem and Clancy amicably split. In October, CBRO perform at Bob Dylan's 30th Anniversary Concert Celebration at Madison Square Garden. Tommy Makem appears with the group as a "special guest". This is the last public/professional appearance of Tommy Makem with the Clancys. Tommy Makem passes away on August 1st, after a year long battle with lung cancer, at the age of 74. 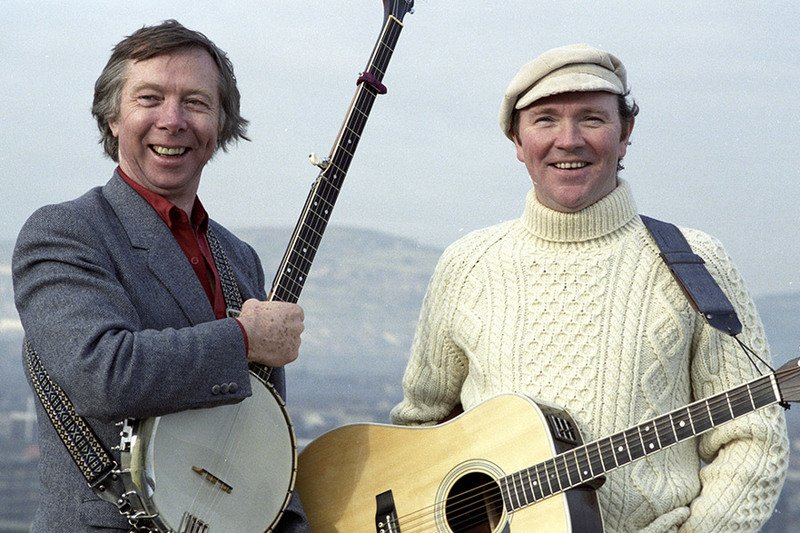 Liam Clancy passes away on December 4th at the age of 74 in Bon Secours Hospital, Cork, Ireland.